We are most familiar with setting keyframes to change audio levels in our editing software, but keyframes go far beyond that simple task. Let’s take a look at some of the options in Motion. Here, I applied a motion path behavior to an object (Basic Motion > Motion path). 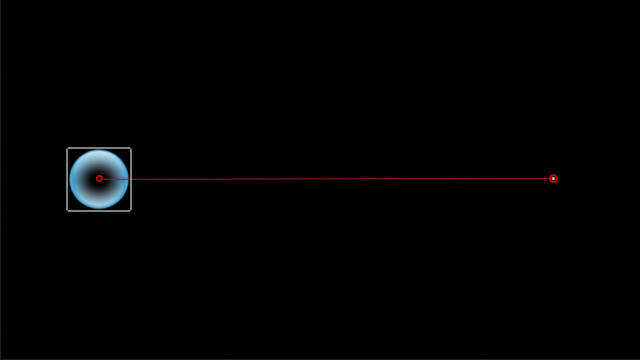 Drag one of the white dots at the end of a white line to change the shape of a line into a curve. You can add and modify as many position keyframes as you want; limited by the total number of frames in a project. 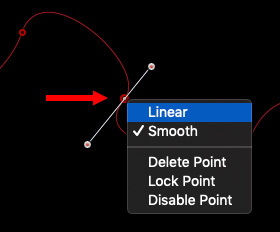 To reset a keyframe, right-click (or Control-click) the keyframe and choose Linear. Delete. Removes the selected keyframe. Lock. Prevents the keyframe from modification. Disable. Turns off the effect of the keyframe, without removing any settings. Smooth. Enables Bezier control points. Linear. Removes Bezier control points, generally used to create corners. Keyframes are frequently used to control motion, but, in fact, every parameter in Motion can be keyframed, which allows us to animate just about anything. 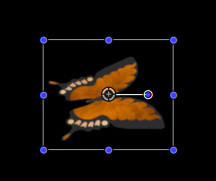 For example, let’s say we want this butterfly to get larger during the duration of a project. When a keyframe diamond is yellow, it means that parameter has a keyframe set at that position of the playhead in the timeline. 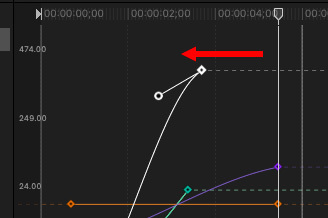 When the keyframe diamond is blank, it means no keyframe exists at that timeline position. When the keyframe diamond is gray, it means the cursor has rolled over it to make the keyframe diamond active. Position the playhead in the Timeline where you want the growth to stop (or change). Because you already set a keyframe for this parameter (Scale), all you need to do is change the Scale setting. Adjusting a setting when a keyframe already exists for that parameter automatically adds an additional keyframe. NOTE: You can add as many keyframes to a single parameter as you have frames in your project. (Keyframes are assigned to a specific timecode frame.) You can also keyframe as many parameters as you like. The red numbers indicate a parameter that is controlled by one or more keyframes. 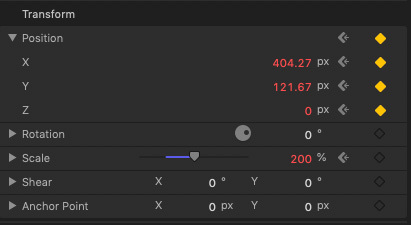 With the Keyframe Record button turned on (solid red) anything you change sets a keyframe for whatever element is selected in the Layers panel at the position of the playhead. This is a very fast way to work in creating an animation – PROVIDED you remember to turn off keyframe recording when you are done animating. 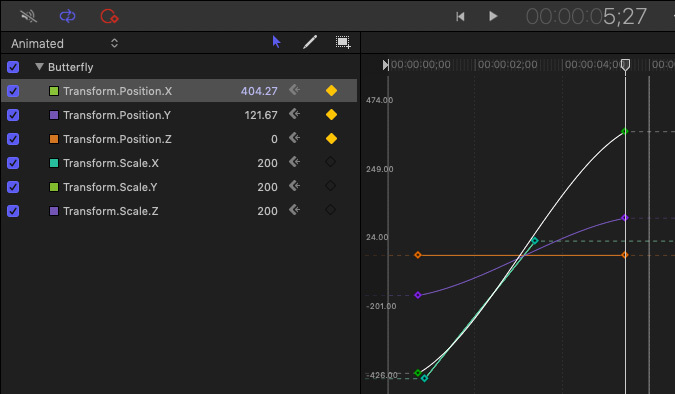 Motion also has a keyframe editor as part of the Timing Pane. 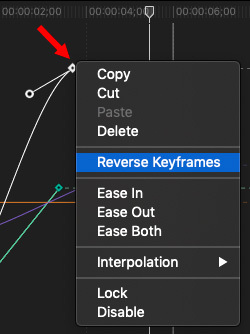 This allows you to see, modify and remove keyframes from a project. To display it, choose Window > Show Timing Pane. This displays the settings and keyframes for the project. Disable a keyframe by unchecking the blue checkbox to the left of the parameter. Move a keyframe in time by dragging it. Right-click a keyframe to see additional keyframe manipulation options. Ease In means the animation will slow down as the playhead approaches a keyframe. Motion is designed to make things move. While behaviors are easy to apply and modify, the vast precision and diversity of keyframes makes them well worth the time it takes to learn them.